Today is a good day. “Why?” you ask. Well I’ve lost 10 pounds over the last four weeks! Only 30 more to go! Initially, when I weighed-in this morning, all I could focus on was that I only lost 1 pound this past week. I felt totally disappointed because I had been losing 2 to 2.5 per week. But then I told myself to get a grip and look at the big picture. I then realized I had lost 10 lbs. in one month, thus making me feel much much happier. So to celebrate, today’s Slimmed Down Sensations are some easy and tasty milkshake recipes. No celebration is complete without cake & ice cream, right?! 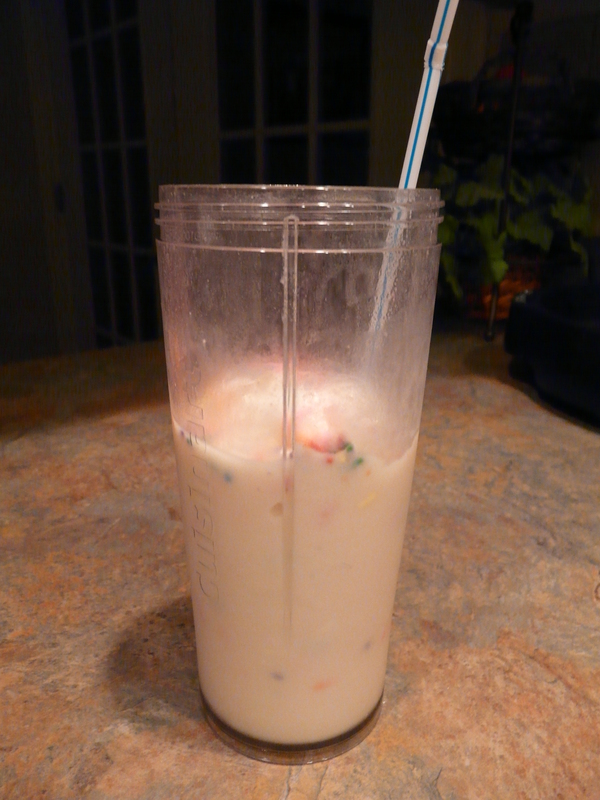 I had been seeing cake batter this and cake batter that all over Pinterest and did an internet search on my own to find a cake batter milkshake. The one that looked the best to me was this one from Betty Crocker. Of course, it had way too many calories for me to be able to enjoy and still stick to my diet, so I played around with it and came up with the version in this post. 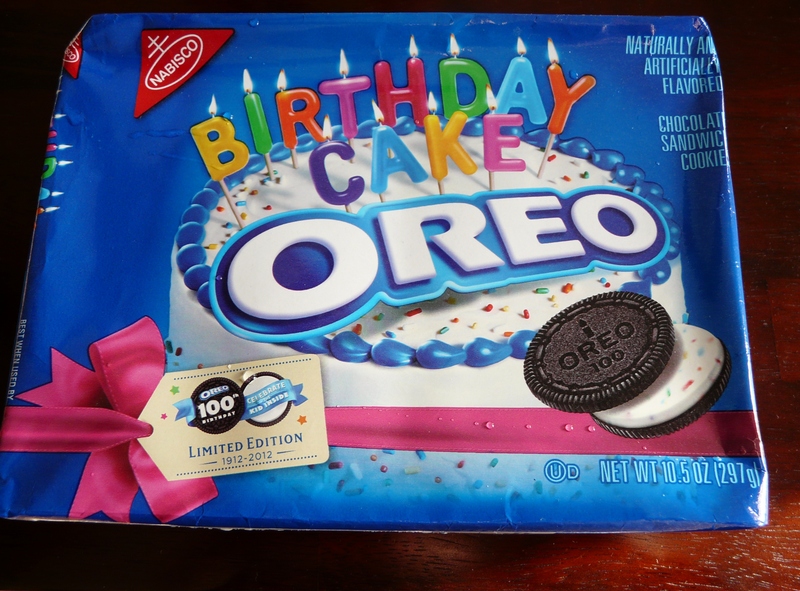 And speaking of cake…has anyone tried the special edition Birthday Cake Oreo? 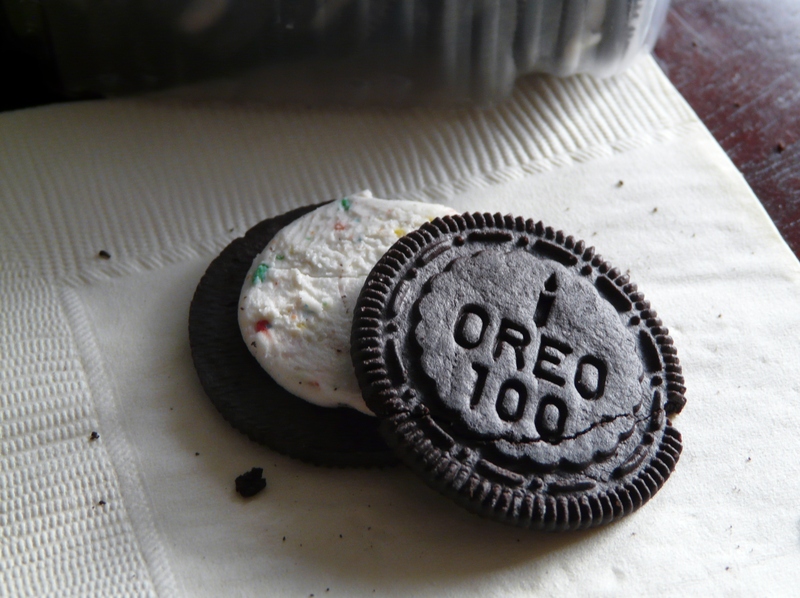 As soon as I saw them I knew I had to try them, but I put it off because I am trying to be a good girl and Oreo’s are not only one of my favorites but are one of my biggest weaknesses. To have a pack of Oreo’s in the house would not be pretty (could probably eat half the pack in one sitting, at least!). Today, however, I gave in and decided to pick up a pack anyway. These are 2 WW Points Plus per cookie, but soooo worth it! Sooo goood! I already make an Oreo milkshake, which is basically made the same as the Cake Batter Milkshake with a few minor modifications. 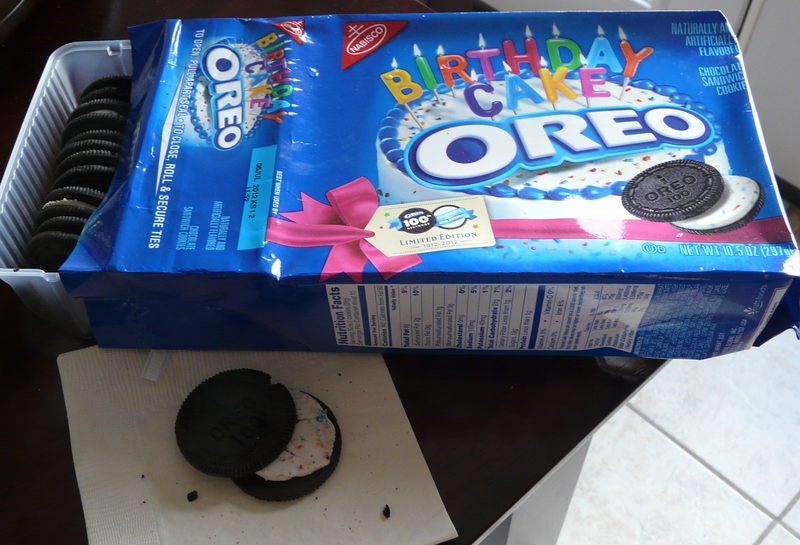 Decided I would just substitute one birthday cake Oreo for the reduced fat one I normally would use. This bumped up the WW Points Plus from 4 to 5, but still not bad for such a yummy treat! So here’s to shedding my first 10 lbs! Yummmmmmmm!!! 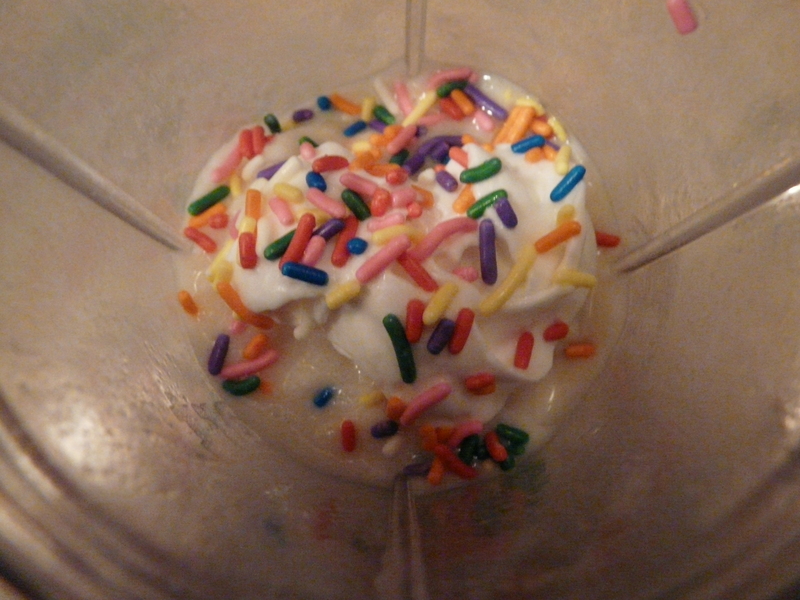 Combine all ingredients except for sprinkles in a blender and blend until smooth and ice is crushed. Pour into a glass and stir in half of the sprinkles. Top with whipped cream and remaining sprinkles. Combine all ingredients in a blender and blend until ice is crushed and desired consistency is reached.